Greensboro artist Christina Brown lives this. Christina, 45, has always been interested in art. She took pottery classes when she was younger, then started making beaded jewelry and got interested in raku beads. She also sold pottery, jewelry and more at Just Be, a quirky boutique in downtown Greensboro, before selling the shop after six years. That’s when Christina returned to UNC-Greensboro to pursue her passion for pottery. Now, Christina focuses solely on pottery. 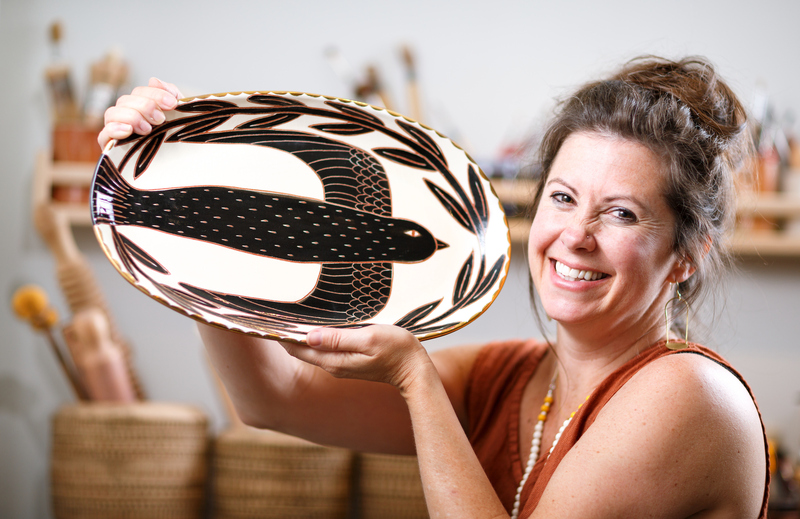 In November 2016 Christina opened a brick-and-mortar shop, Moonbird Pottery on Spring Garden Street, right next to Spring Garden Bakery, a shop she and her husband Tim have previously owned. Birds and flowers find their way into many of Christina’s new pieces. 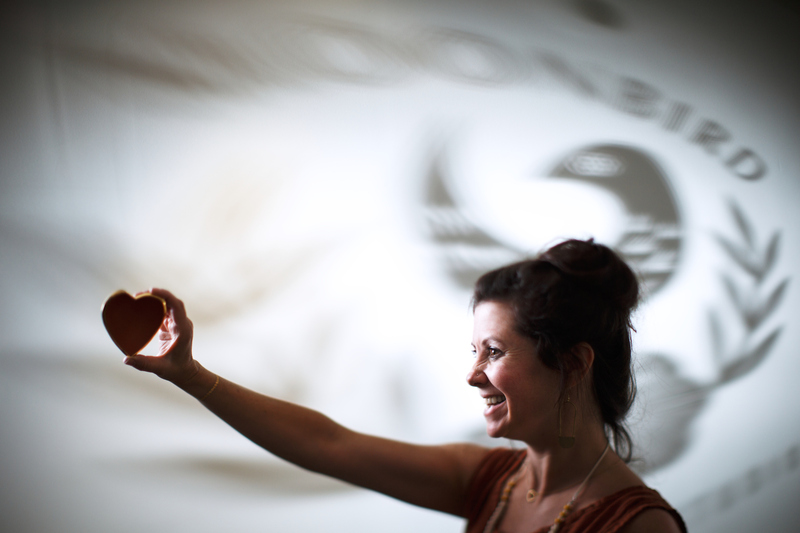 Christina likes to focus on Artistic • Soulful • Living at Moonbird. In addition to her shop, you can also check out Moonbird Pottery Studio – a handmade gift shop filled with inspired gifts for the mind, body and spirit. Moonbird Pottery also hosts an Annual Spring Art Show in Lindley Park called Art in the Yard. You can find Christina’s pieces not only at her shop on Spring Garden, but in galleries throughout the US. West Elm furniture has contacted Christina to be a local artist at its Greensboro location in the Friendly Shopping Center. 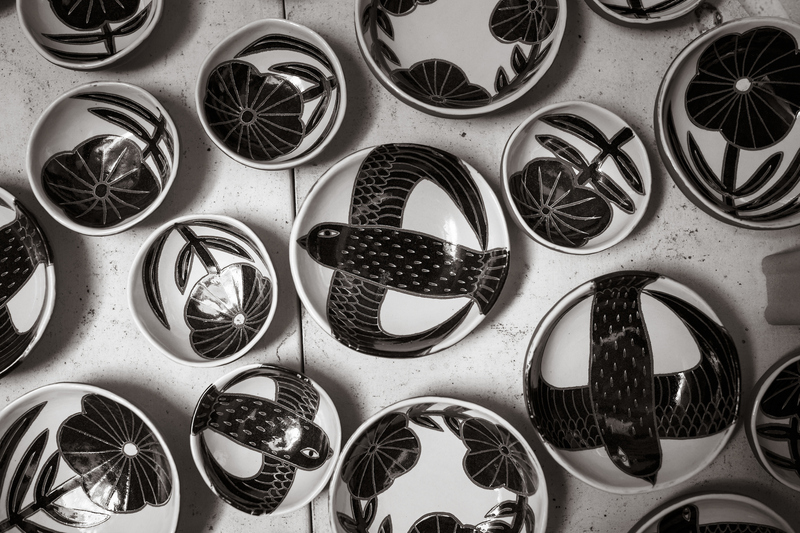 Of course, you can also purchase Moonbird Pottery on its online shop. Orders are currently shipping out across the country.